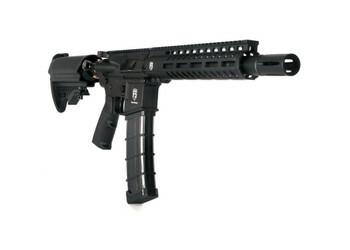 The Tiberius Arms T15 Magazine Fed Paintball Gun has arrived! The Tiberius T15 is the first marker of its kind, offering a true .68 caliber 1:1 AR rifle platform for the ultimate in milsim authenticity. The T15 utilizes a tough and durable lightweight aluminum body, built to withstand the harshest conditions on any scenario field. The Tiberius T15 features a 13ci/3000psi aluminum HPA tank integrated into the collapsible stock. 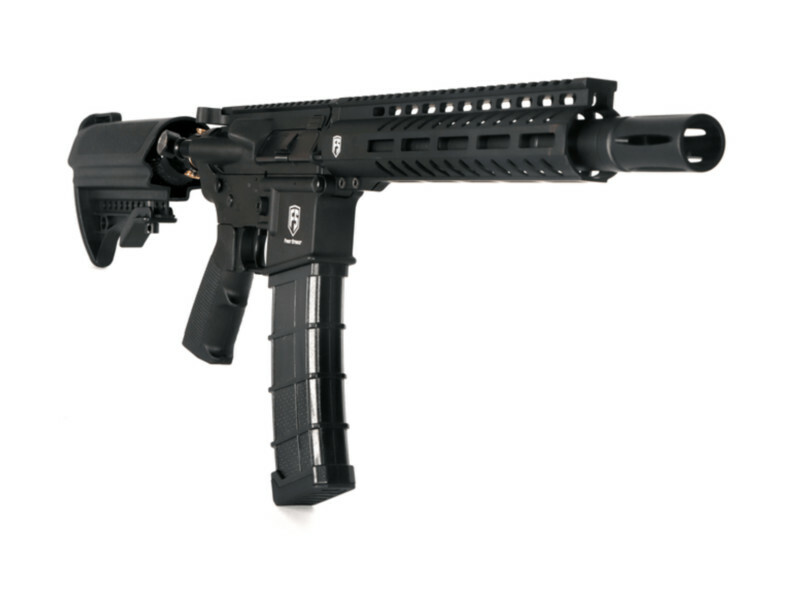 The T15 can be operated with a standard hopper or mag fed with Tiberius T15 continuous feed magazines that hold 19 First Strike Rounds or 20 standard paintballs. Complete with flip-up sights, the T15's precision-made barrel incorporates a handguard with multiple aluminum 7/8" tac rails for mounting bipods, scopes and other useful tactical accessories. 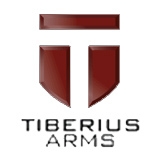 The Tiberius Arms T15 takes scenario realism to new levels, for the ultimate milsim immersion experience!